The best time to de-clutter your wardrobe is usually when you move houses (or in our case, when you move countries). I usually do a bit of a sort through my cupboard at the start of winter or summer. With the change of season coming up; it is a good reason to take stock of what you have, what you have worn and what you know with all certainty you will never wear again. When we left SA last year, I had two full cupboards of clothes. 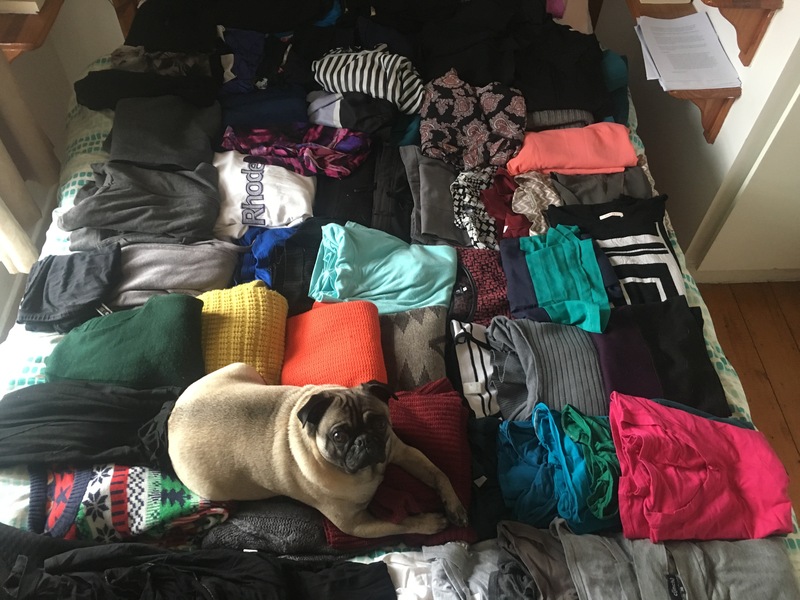 I got rid of 6 large, black bags of clothes! At the time, I was ashamed of such waste, and I was happy to just get rid of it all, but my mum pointed out that some stuff I still had tags on – I had bought things online, and loved the look of but in the end it didn’t fit me or I just never had a place to wear it. I had various reasons, the biggest one was that I wanted to lose weight before I wore half of my clothes in my wardrobe. I was hanging onto clothes that made me sad when I saw them looking back at me from in my cupboard. Even though I did this mass de-clutter exercise, I still came over to Ireland with 2 large suitcases (over 40 kg’s of stuff). Here is everything all laid out on our double bed (in Ireland), just to give you the scale of clothes I still managed to bring over with me. 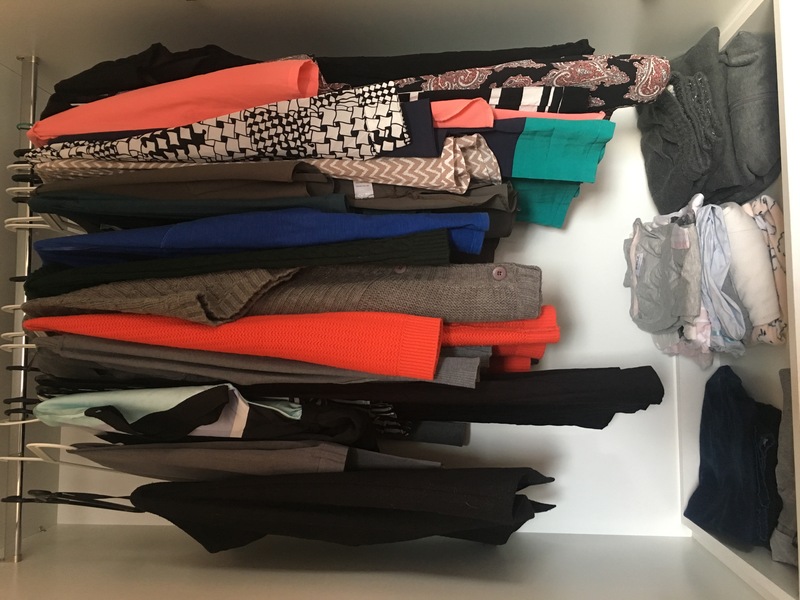 While I was re-branding my blog and taking stock of what truly matter to me, I realised that I think a lot of us have this unhealthy obsession with clothes. I am the first to admit, I loved Spree and regularly bought clothes online. I bought and stored tons of clothes, half of which I never even wore. And some of it, I wore, and it got holes or started to stretch and fade – and still I held onto it. The real question you need to ask yourself is: Do you own your clothes or do they own you? Pile 3 is easy – you need to get rid of this stuff. Sort this pile into donate, chuck or sell. But get rid of it. Don’t hold onto stuff that makes you feel or look terrible. I personally had a pair of jeans I hadn’t worn in years, it was several sizes too small and I lugged them half way across the world, thinking one day I would fit into them. As a side note, they were outdated, and out of style and I knew deep down, even if I could fit into them, I probably wouldn’t wear them. Let it go. Now look at pile 1 (love stuff) – really look at it critically. How many grey jerseys do you really need? I had 9 black long-sleeved tops. Nine? Like, really, why?? Cut things down to the essentials, the must keeps, the will definitely wear, the love to wear. Pack away the stuff you know you won’t wear until the weather is warmer or cooler. Chuck the stuff you know you won’t wear, or don’t need anymore. Look at the stuff you won’t wear but want to keep – really be ruthless here. Throw out the stuff that has holes in it, the stuff you won’t ever wear in public because it is too worn or maybe doesn’t fit right. Get rid of those pants you are saving for when you finally lose the weight. For the stuff that is left over, the like but not love pile too – put all of this together with the seasonal pieces you won’t wear right now. Box up, or put in bags and store it somewhere that is hard to reach – top of your cupboard or under your bed. The idea here is to re-look this pile with fresh eyes in a few months. The stuff you forgot about or totally never thought about or never needed, you can far easier get rid of in a few months. But learn to let it all go. It’s unhealthy to have this need for things. Let it go and see how much clearer your mind feels without all that stuff in your cupboard. Pack the things you are keeping and the things you love back into your cupboard and really take stock of all the space you have created. Now you should clearly see all the items you really love. You might find after doing this exercise (if you were ruthless enough) that there are things that you may need to replace. The key word here is: Replace. Not add. You might come to find (like I did) that you need to get rid of all your pants (they don’t fit, they have holes, they make you feel yuck). The art of de-clutter and living with less is not so that we live with scraps, and cheap clothing. You should have good quality pieces in your cupboard – things that look and feel good to wear. Replace the stuff that doesn’t work if you need to. But the key is to keep your cupboard free, and not to add more to it. If you want to add anything, ask yourself – what can I let go to make space for this? 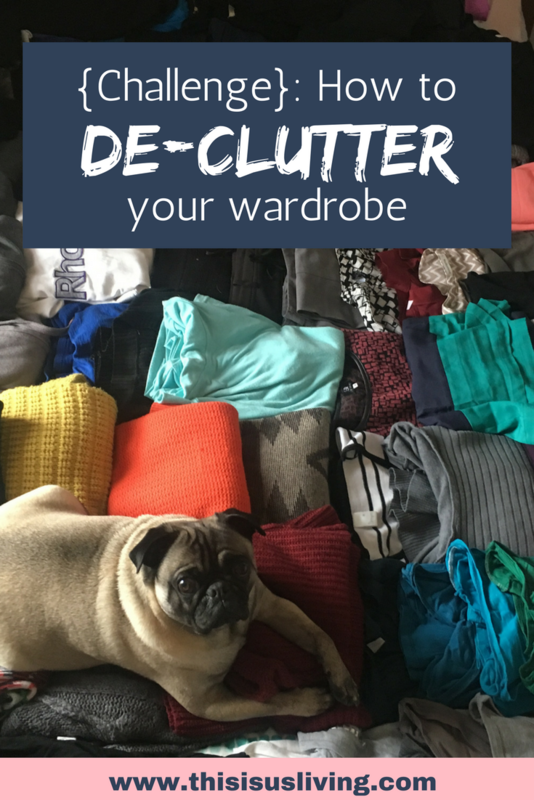 Sign up below and receive a FREE printable that will help you declutter your own wardrobe. 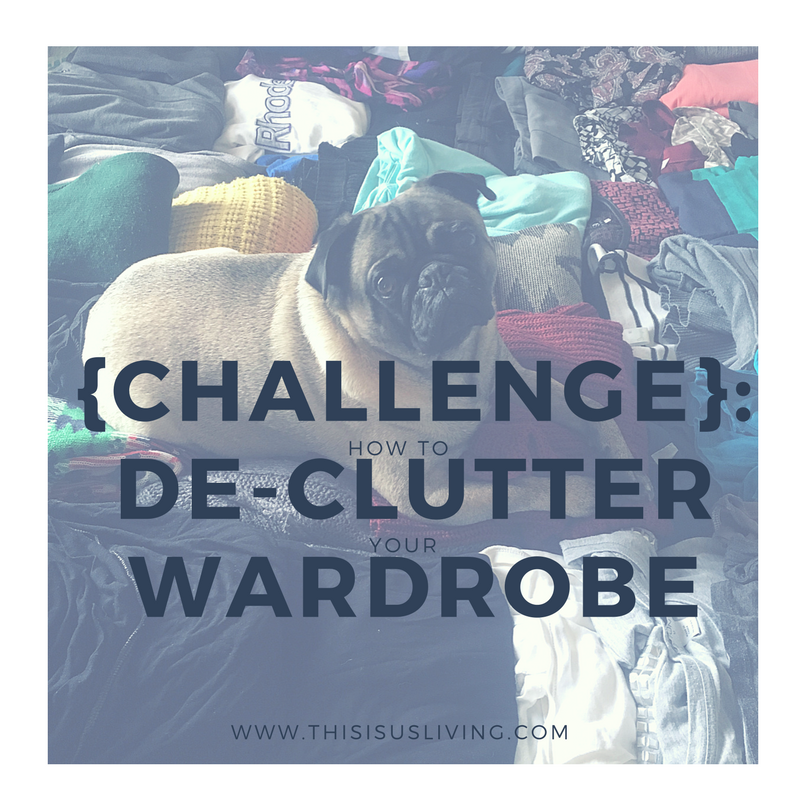 De-clutter your wardrobe, then tell me how it makes you feel? p.s. If social media is your thing (snap! It’s my fave too! ), you should totally follow me on Instagram, Twitter, or join my exclusive Facebook Group. 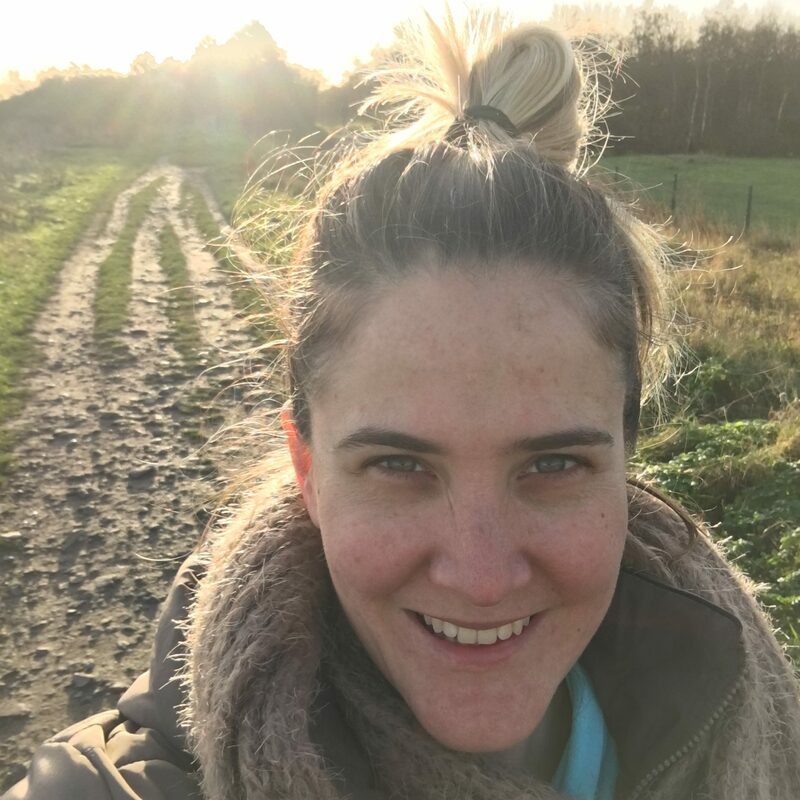 And because I seriously am an open book, if you ever want to bounce ideas off me, or just chat and connect send me an email (I really love chatting!). Ok, this sounds good. My wardrobe looks like a crime scene at the moment. Thanks! Thanks for stopping by, Vivian! My wardrobe could use some major decluttering! This is the perfect time to do so with the change of seasons! Totally! 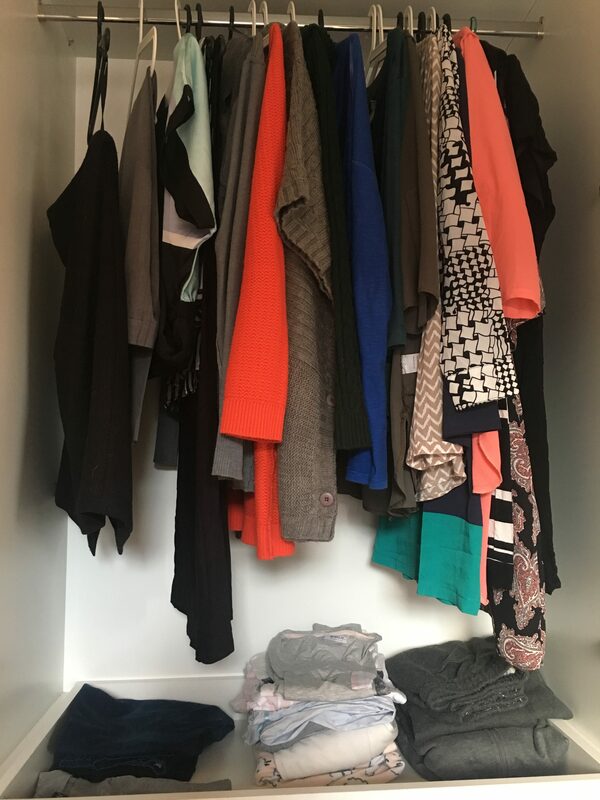 I also store away my winter coats so that they don’t clutter up my wardrobe – spring feels lighter when you declutter! Exactly, why are we holding onto things we know we wont ever wear?! I need to do this right now! My closet is looking BAD! Thanks for sharing! I love this challenge! I started last month getting giving away things, and recyling others. My goal is not to throw away a lot but rather offer it to women in need. That is awesome, we have various charities we can donate to here in Ireland, so I am definitely doing that this time around. Yasss! De cluttering is soul cleansing! I just purged all of my closets this weekend! You are so right!!! My husband tends to think I’m insane but out with the old I say! I need to do some spring cleaning to declutter my wardrobe too!! A bunch of my friends and I will have several clothe exchange during the year. its a great way to declutter and also recycle the clothing. There is always so much giggles when we try on each other clothes. Once the pile of clothes have been gone through, we just donate it to the local thrift shop. Such a great idea Lilian, it is like a Bookclub but with clothes! Ah I am so happy to hear this! woohoo to decluttering our homes! I went through the exact same thing when I moved from Doha to Singapore. Having moved twice since then I have a very small, streamlined wardrobe and I love it. I also wrote about it as it really changed my life. You think you will run out of things to wear but I have found that it is more a freeing process! less fuss, and i love all of the things I wear!